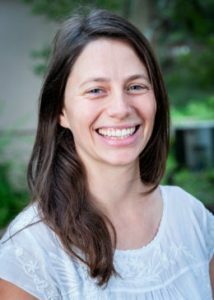 Rachel received her Bachelor of Arts in Psychology with a minor in German from Hendrix College before going on to receive her Waldorf Teacher Training at Rudolf Steiner College. She brings a unique perspective to her Waldorf Kindergarten, as she attended the Austin Waldorf School from PreK through Eighth Grade. Those early years instilled in her a passion for being a Waldorf Teacher. Rachel brings over ten years of teaching experience. She was a Kindergarten Apprentice under Master Kindergarten Teacher Barbara Klocek at the Sacramento Waldorf School following her graduation from Rudolf Steiner College. Rachel was then a Lead EC Teacher at the Waldorf School on the Roaring Fork in Carbondale, Colorado for six years. She also served as First and Second Grade Teacher at the Upper Valley Waldorf School in Vermont. Following that, she was a Lead EC Teacher at Shining Mountain Waldorf School and the Austin Waldorf School (where she taught in the exact same classroom she attended as a Kindergartener).